The 5th edition of Ultimate Tsaigu was once again made significantly harder by wet weather conditions. As if cursed, the skies opened on race day just like last year, albeit not to the extent that the event organisers got compelled to shorten and stop the race. Yet, a DNF rate of over 60% says enough, and among those were reputed ultrarunners in Asia. Many China stars flocked to Linhai in Zhejiang province for one of the country’s biggest trail events, but as previously mentioned they were spread out over three race distance categories. While the 110K was the so-called A-race, perhaps more attention went to the 80K and US star Hayden Hawks who was scheduled to compete against both Qi Min and Deng Guomin. In the women’s, we were all curious if Veronika Vadovicova could also make the technical Tsaigu look easy, in what is still the early days of her trail career. 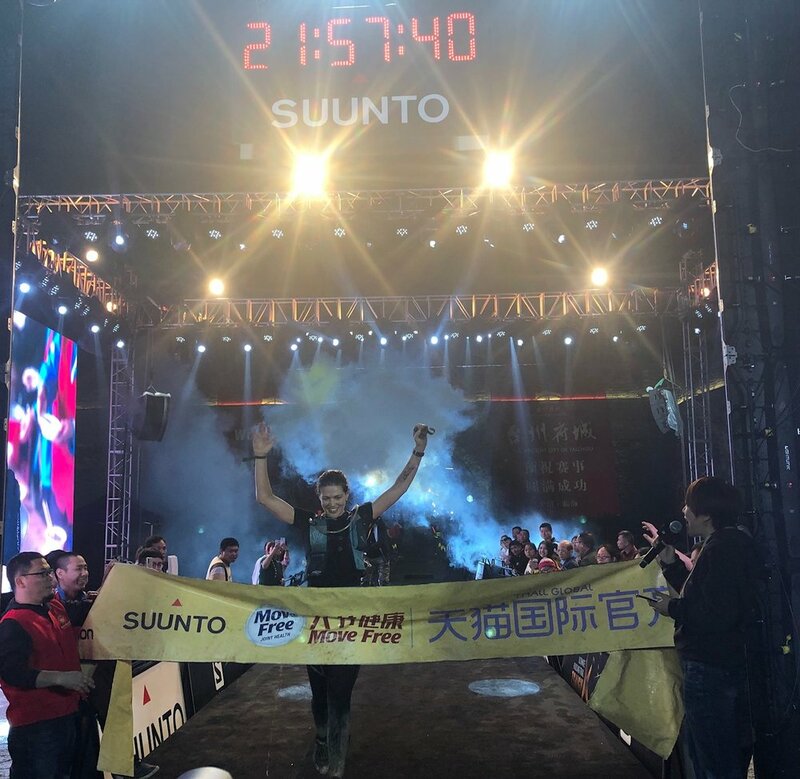 First, on the 110K, China’s Luo Canhua, who was first on top of Mount Kuocang in extreme conditions (see videoon our facebook page), was caught by You Peiquan before CP7, but the pair then decided to stay together until the finish at the old town in Linhai. Perhaps unfortunately, there was no dual as they crossed the line in front of a big crowd in the old town together in a time of approx 14:39. Another Chinese, Zhao Jiajiu came in third with well-known Li Kuo as fourth. Liang Jing was a surprising DNF. In the morning it was very wet, foggy and cold during the 110K and 80K races. Afterwards, the persistent rain luckily stopped around noon to be replaced by consistent drizzle. Xu Meiling was the first woman early on, but she would not make it to the finish. Experienced Zheng Liping took over and won relatively comfortably in 22:26, half an hour ahead of Qu Shangwei. Xie Wenfei completed the podium. Hong Kong's Chingling Lo was running third halfway through, but also failed to finish. French, but also based in Hong Kong and a race winner there, Habiba Benahmed was apparently really enjoying herself and finished 10th in what was essentially her come back ultra trail after an extended period of rest due to injury. On the 80 km, American star Hayden Hawks won in splendid fashion after China’s Qi Min DNFd following a fall after CP2. That was a shocker as Qi Min was really taking the fight to Hawks. Shenzhen’s busy bee Deng Guomin inherited second but ran an excellent and smart race only some 20 minutes down on Hawks at the finish. Zhang Jiao finished third ahead of Li Kuo. Shanghai-based Veronika Vadovicova continues to dominate the women’s races in ATM this year. She won basically unthreatened by anyone today in 12:45, proving that even extreme conditions do not necessarily slow her down. Vadovicova is the trail discovery of these early months of 2019. Thailand’s Cartoon Pratumsuwa ran a strategically smart race in a tough battle for the remaining podium places against locals Tan Rongqing, the returning Paulina Svoboda and Chen Erfen. For Chiang Mai-based “Cartoon” Wipawee, it is her first podium in an ATM race and there’s more bound to follow! Shenzhen’s Deng Guoming in the end finished only 20 minutes behind Hawks! This Saturday we already have the 5th edition of Ultimate Tsaigu, today one of China’s premier trail events in the mountainous forests around Linhai in the eastern province of Zheijiang. It’s a very technical and scenic natural trail that tests the reslience of participants each year again - not in the least as rain or moist can never be excluded. Almost all Chinese top trail runners and an international elite runner from the USA named Hayden Hawks are on the event start list, which reached maximum capacity of 2000 very quickly again. However, the big names are spread out over three race distance categories and won’t all be facing off against each other - something that is becoming an unfortunate trend in elite trail running, a bit similar to professional boxing. So we have Liang Jing (winner in 2018) and Luo Canhua on the 110K, Hayden Hawks, Qi Min and Deng Guomin on the 80K (arguably the most exciting race) and Yan Longfei, Jia Erenjia and Shen Jiasheng on the 50k. In the women’s, China’s new star Yao Miao is also on the 50k, along with Dong Minfei, Paulina Svoboda and Xiang Fuzhao. But Veronika Vadovicova is on the 80k, and Zheng Liping, Nicole Leung and Ching Ling Lo on the 100k - just to name a few. Let’s be honest, imagine what a race it would be if they are all in the same race distance category! In the context of the ATM Championship, the 110K was assigned long ago as the A-points race with 500 for the winner and the 80K as the B-race with 380 points for the winner. The 50k does not offer any points. China’s top performers are all sponsored professionals not known to travel a lot beyond their country’s borders to the rest of Asia, and traditonally do no feature much in our championship. On the other hand, more and more Asian runners are finding their way to China as Tsaigu continues to receive rave reviews. 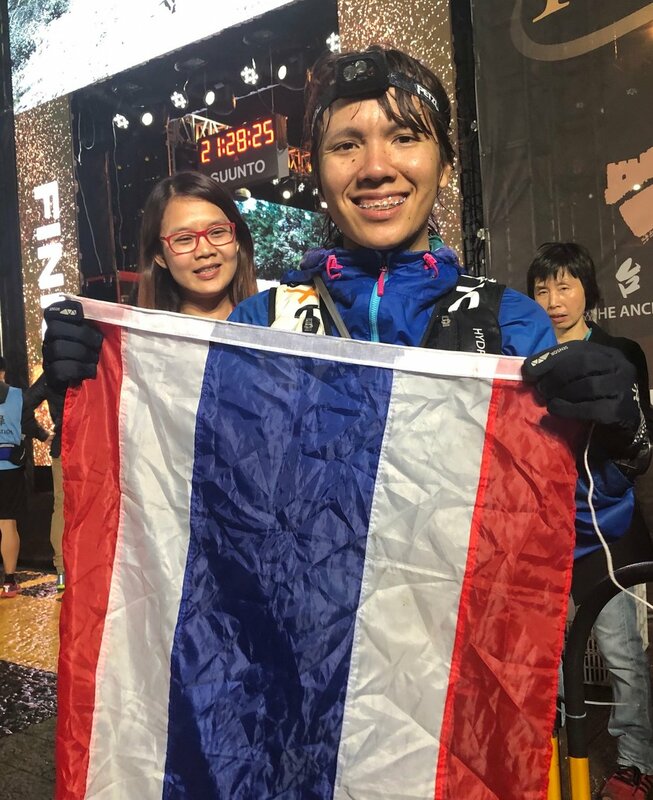 Race director Cai Yu has also always opened the doors wide open for regional athletes and the new partnership with Ultra Trail Chiang Rai - the Thailand SuperTrail in October - could foster even more exchange. There’s quite a large group of Thai runnes competing in Tsaigu this weekend, including Montha Suntornwit, winner of Ultimate Chiang Rai 230 last autumn, and Sukrit Kaewyoun, who has been doing well in our championship so far with 6th in Dalat and 2nd in Luang Prabang. A good result on the 110k can propel Sukrit into the fab five of the men’s championship standings before the break. Due to the holy month in several countries there are no points races until Vietnam Jungle Marathon on 25 May. Another one to look out for in the context of the ATM championship is Finland’s Henri Lehkonen. Coming off a great 5th place in Dalat, he is also on the 110K start list for his second points race of the season. Veronika Vadovicova has been the surprise of the women’s season so far. Maybe not because she has been winning - she already won the 90K of HK168 last December - but because of her sheer speed on the trails. Making the switch from triathlon, Vadovicova dominated Cordillera Mountain Ultra and Sungai Menyala Forest Trail and starts as race favourite for the 80K on Saturday as well. Tsaigu will again be new territory for her: this race is arguably the most technical of her trail career. In that context, Thailand’s Wipawee “Cartoon” Pratumsuwa could see an opportunity to upset the Shanghai-based Slovakian. Also Hong Kong’s Wai Yin Chiu could be in the mix for the podium. Xu Meiling from China will be up against three strong women from Hong Kong on the 110K longest distance. Ching Ling Lo, Nicole Leung and also former HK168 winner Habiba Benahmed. Stay tuned for updates of the event all day on Saturday via our social media channels! Ultimate Tsaigu opens the books! Next year on 14/15 April we have the return of a meanwhile classic Chinese trail race in Asia Trail Master: Ultimate Tsaigu, previously known as Tsaigu Tangsi Plus. The event features a tough 100K and 65K courses through tea plantations, bamboo forests and rugged mountains. While there are also shorter distances available, the two main races require adequate preparation. The event location is Linhai, a nice tourist place not too far and easily accessible from major cities Hangzhou, Ningbo and even Shanghai. We are happy to announce another addition to the race calendar of the 2017 Asia Trail Master championship series. China Ultra 100 Pu'Er in China's Southwestern Yunnan Province joins on 18/19 February with its second edition of the event that features 100 and 50 km race distance options. Elevation gain for the 100km is around 4800 hm. Stay tuned in the next week for more details. While this year's Asia Trail Master series is in full swing, we are already beginning to look ahead to 2017 as well. The following three events taking place in June and July have applied to be points scoring races next year and thus are labelled Candidate Races. We will be providing a race report on each of those three events, and of course also welcome comments from participants. Stay up-to-date on our 2017 Candidate Races, races Beyond Asia, and great road running events in our designated section. BATURU TRAIL - Liaoning Province, Northeastern China on 5 June. The event features a tough 50km with approx 3500 Hm in the beautiful hills of Benxi near Shenyang. Mount Hamiguitan Trail, Mindanao Island in Philippines on 26 June. Another 50km on a famous mountain that is also a UNESCO World Heritage Site. Enter the area via Davao. Altai Ultra Trail, Siberia in Russia on 15 to 17 July. A new event for adventurers with three race distances. Altai borders Mongolia, China and Kazakhstan and is a remote mountain region. You need time to get there (via Novosibirsk, ideally) but your perseverance will certainly be rewarded!